I love local winter squash. It is beautiful and edible. Being the practical person I am this is the best of both worlds. I also love that they stay fresh so long allowing me to continue to eat fantastic local food right into the dead of winter. This week I am using some beautiful local squash to make more kale and squash soup (recipe previous post) with a side of baby food. Okay, not so gourmet or interesting, I know but we are heading to the mountains for the weekend and baby has got to eat. This is the season of life I am in and I plan to make the most of it. I learned long ago that we need to eat mostly real food to stay mostly well especially when travelling. I am planning to use some fresh organic sage to flavor his delish squash puree and make it special. 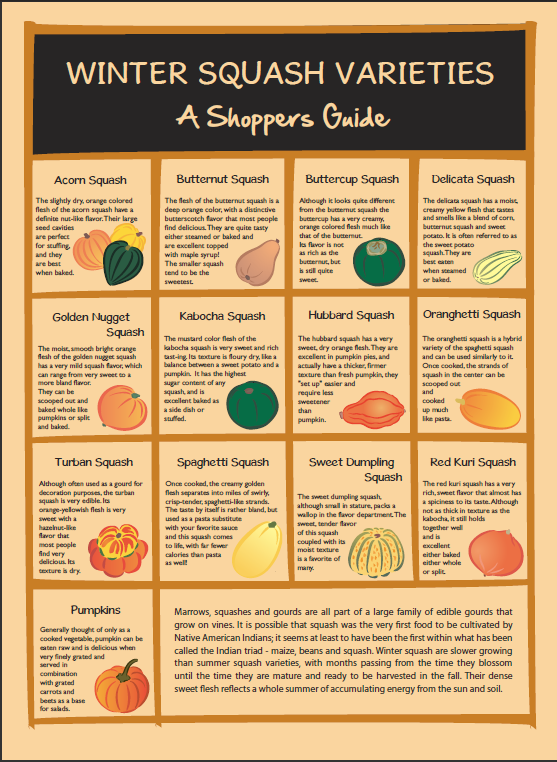 This entry was posted in Winter Squash and tagged Baby food, Cook, Fruit and Vegetable, Home, Pumpkin and Squash, Soups and Stews, Variety (magazine), winter squash. Bookmark the permalink.